One of the great family memories that many generations in our family have is having bonfires and camping. My grandparents loved bonfires but were not so big on camping. They would create bonfires where we could all roast our hotdogs and mallows and have an awesome time. Their would be great sides like potato salad, chips, and homemade hot chocolate there as well but one of the best things about bonfires and roast were the smores. Those ooeey gooey roasted mallows with chocolate and graham crackers. Whether you are preparing goodies for a roast of your own or you simply want some delicious tasting goodies you should check out this recipe. Preheat oven to 350ºF. Line a 9-by-13-inch baking pan with foil, leaving a 2-inch overhang on 2 sides. Mist foil with cooking spray. In a bowl, combine flour, graham cracker crumbs, baking powder and salt; mix well. In a large bowl, using an electric mixer on medium speed, beat butter and sugar until light, about 2 minutes. Beat in eggs until well combined. Reduce mixer speed to low and slowly beat flour mixture into butter mixture. Divide dough in half. Press half of dough into pan until dough is uniform and flat. Spread with marshmallow topping and sprinkle chocolate chips on top. Scatter remaining dough over in clumps. Don't worry about covering the top; marshmallow and chocolate chips should peek through. Bake until golden brown, 30 to 35 minutes. Place pan on a wire rack to cool completely. Remove from pan, peel off foil and cut into bars. 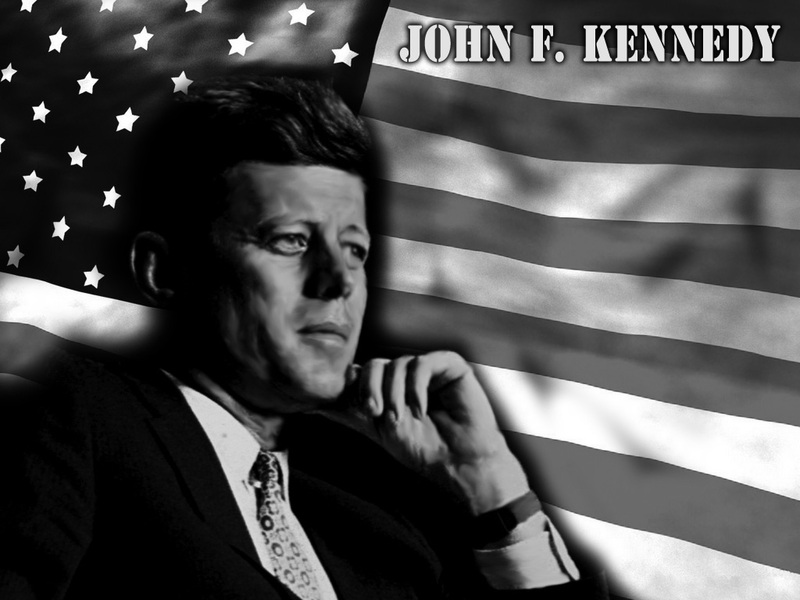 John F. Kennedy a man who stood up for America and while many whisper in the background about some things that he may have been involved in all wonder what would have had happened if John F. Kennedy had not been shot and taken out so early in life. He had many followers and great ideas and just like my mama the whole world cried the day he was shot and killed. But today May 29, 2012 John would have been celebrating his birthday like he did in style in this little tidbit. It was noted that Clam Chowder was one of the presidents favorite foods so since I love to blog about food I thought I might share this tasty recipe from taste of home. In a large saucepan, saute the onion, carrots and celery in butter until tender. Stir in potato soup and two cans of undrained clams. Drain and discard juice from remaining can of clams; add clams to soup. Combine cornstarch and a 1 cup of cream until smooth; stir into soup. Bring to a boil; cook and stir for 2 minutes or until thickened. Gradually stir in the remaining cream; heat through. Yield: 9 servings (about 2 quarts). 1. Preheat oven to 425° degrees. 2. Mix the cornmeal, flour, baking powder, baking soda and salt in a bowl. 3. In a separate bowl, whisk together the honey, buttermilk, eggs and oil. 5. 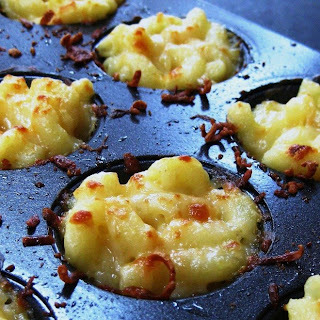 Pour one tablespoon batter into greased mini muffin cups. 6. 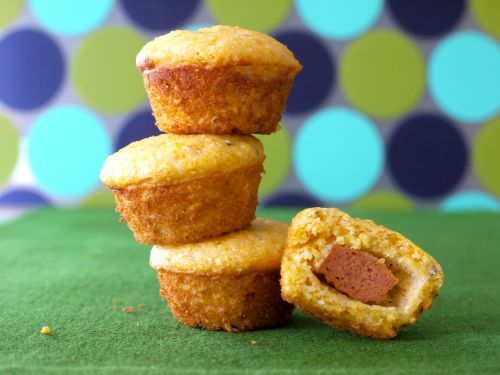 Lay turkey dog slice cut side down in the center of each batter-filled muffin cup. 7. Top with an additional tablespoon of batter. 8. Bake for 14 minutes and serve. * Boxed cornbread mix also works great in this recipe. Follow the directions of the boxed mix and skip to step 5 to continue making the bites. a new recipe I want to make for them and share with their mommy is this simple recipe for mac and three cheese bites. Preheat the oven to 425°. In a large saucepan of boiling salted water, cook the macaroni until al dente, about 5 minutes. Drain, shaking off the excess water. Brush four 12-cup, nonstick mini muffin tins with butter. Sprinkle with 2 tablespoons of the Parmigiano; tap out the excess. In a large saucepan, melt the 1 1/2 tablespoons of butter. Whisk in the flour over moderate heat for 2 minutes. Whisk in the milk and cook, whisking, until boiling, about 5 minutes. Add the cheddar and American cheeses and whisk until melted. Off the heat, whisk in the egg yolk and paprika. Fold in the macaroni. Spoon slightly rounded tablespoons of the macaroni into the prepared muffin cups, packing them gently. Sprinkle the remaining 2 tablespoons of Parmigiano on top. The recipe can be prepared through Step 4 and refrigerated overnight. Bake the mini macs in the upper and middle thirds of the oven for about 10 minutes, until golden and sizzling. Let cool for 5 min­utes. Using a small spoon, carefully loosen the mini macs, transfer to a platter and serve. Dredge the pork chops in the flour. Heat the oil in a large skillet, add two or three chops, and brown them on both sides until half done. Repeat with the remaining chops. Remove the chops from the skillet. Add the butter and reserved 2 tablespoons of flour into the pan drippings. Stir well over medium heat and add onions and garlic. Saute until the onions are golden. Add the soup, mushrooms, Worcestershire sauce, and House Seasoning. Simmer, stirring, until the sauce is hot and bubbly. Place a layer of pork chops in a 13x9x2-inch casserole dish; pour half the sauce over the chops, then add another layer of chops, and top with the remaining sauce. Bake at 275 degrees F for an hour and a half, until the pork chops are tender. Preheat oven to 400 degrees F. Coat a baking sheet with cooking spray. Whisk cornmeal, flour, baking powder, salt, cinnamon and chipotle (or cayenne) in a medium bowl. Mix banana, egg and milk (or buttermilk) in another medium bowl. Add the cornmeal mixture to the banana mixture and stir until just incorporated. Heat 1 tablespoon oil in a large nonstick skillet over medium-high heat. Reduce heat to medium; using 2 tablespoons of batter for each, space 5 fritters evenly in the pan. Cook until golden brown, 30 seconds to 2 minutes per side. Transfer to the prepared baking sheet. Cook a second batch with the remaining oil and batter, adjusting heat to prevent burning. Transfer the fritters to the oven and bake until puffed and firm to the touch, 8 to 10 minutes. Preheat oven to 350 degree F. Leaving the stem intact, cut a slit along the top of each pepper. Remove the seeds; set aside. In a small bowl combine goat cheese and snipped herbs. Spoon cheese mixture into prepared pepper . Arrange filled peppers close together on a baking sheet. Bake for 8 to 10 minutes or until cheese is heated through and peppers are crisp-tender. 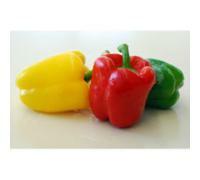 Use tongs to arrange warm peppers on a serving dish, stacking peppers into a pyramid shape. Garnish with fresh basil leaves. Makes 30 servings. *Do not add the ingredients called for in the label directions. completely. Whisk together the sugar and enough lemon juice to make a thick but fluid glaze. Drizzle the glaze on top of the cookies in the baking pan, then cut into finger-size bars. Cook eggplant, sausage, and garlic in a large nonstick skillet over medium-high heat 5 minutes or until sausage is browned and eggplant is tender. Add tomato paste and the next 3 ingredients (through tomatoes); cook over medium heat 5 minutes, stirring occasionally. Place pasta in a large bowl. Add tomato mixture, cheese, and parsley; toss well.